As you might know if you follow me on social media (@craftybeeress should you be so inclined), I enjoy a little competition retweet here and there. It was this little hobby that led me to win 2 tickets for The Epicurean which I popped along to last weekend. 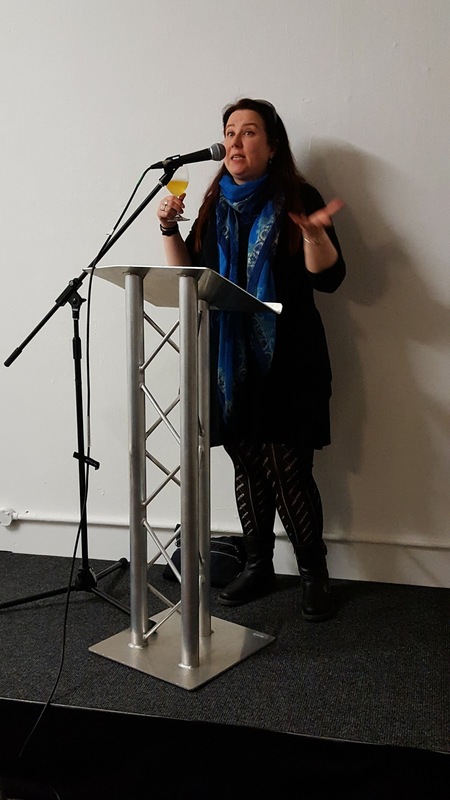 The Epicurean, held at the Old Truman Brewery (great location), described itself as ‘London’s Unlimited Tasting Experience’. With over 1000 suppliers of fine wines, spirits and beers there was plenty to sample, the idea being that you might purchase a glass (called ‘a splash’ *gag*) to drink there and then or buy a bottle to take away. They also had a service where you could purchase bottles at the event and have them delivered to you (nice idea, but really more for the winos).There were also some talks and seminars going on throughout the 2 days. I should add here that tickets for this event were £25 each. On arrival there we were given a wine glass (worth £12 apparently, but my goodness if you ever see me paying £12 for a single wine glass please tell me to check myself), a guide and a jute bag to carry our purchases. Directly in front of us was the craft beer and spirits room so, of course, we headed straight towards it (when unlimited tasting is on the go you need to be sensible) and unleashed ourselves upon those poor, unsuspecting brewers. Now, I suppose what you all want to know is ‘how big were the samples?’ and, as you might anticipate, my answer is: variable. Sometimes we’d get a nice third, other times around 25ml and other times one tiddly drip into the glass. Most people we spoke to were so enthusiastic, wanted to talk to you about beer and were genuinely excited when you took a sip. Others? Not so much. Trying to get any information at all out of one particular beer brand was like trying to get blood out of stone and I did wonder if they had understood the concept before pitching up there. Also, for the first time in a very long time I had people who assumed that I was just there for the freebies, but would happily talk to my husband about beer until the cows came home. Make of that what you will. But let’s talk about beer. I’m only going to talk about the good stuff and I’m only going to talk about brands who were nice to me because a) being negative is draining and b) I’m not giving anyone any publicity. I want to talk about these awesome beers imported by World Beers who, by the way, were ace and passionate and wanted to talk about beer all day long.They also had a bucketful of Lion Stout with them which is always a winner. 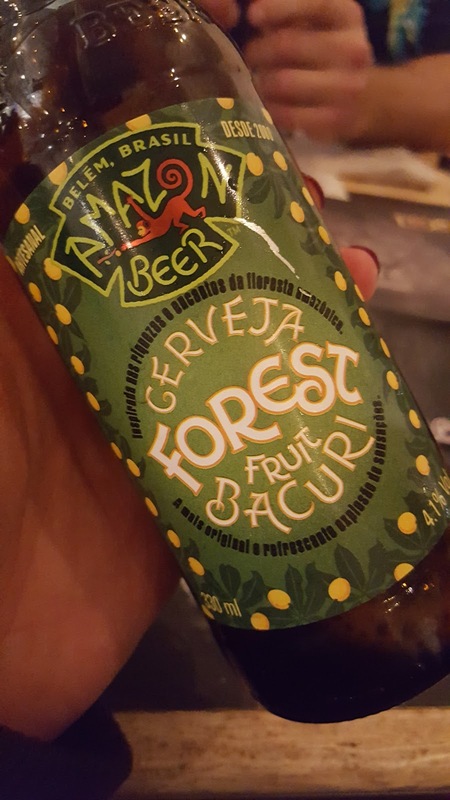 The first one I tried was the Forest Bacuri Fruit by Amazon Beer (4.1% abv), which hailed from Brazil. Although I love elements of fruit in my beers I will rarely order a fruit beer, if you know what I mean, but having never heard of bacuri fruit I thought I’d give it a go. It was very sweet indeed, with lemony overtones and hints of passionfruit (which I assume was the bacuri). I think syrupy might be a good way of describing it, in terms of flavour rather than mouth feel. I know this doesn’t sound great, and it’s been absolutely thrashed on RateBeer, but I thought it was rather pleasant, just absolutely nothing like a beer. I think this might be a good one for wine/cocktail drinkers who say they don’t like beer, at which point you can whip this out and say ‘woah woah woah hold on a minute’. Which is exactly why I bought one. 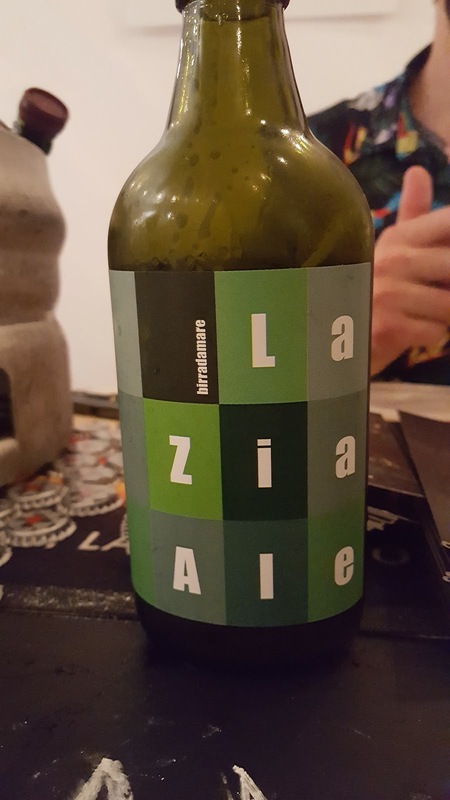 Next we changed continent and tried a couple of beers from Birradamare, a brewery based in Rome and with some of the coolest bottles I have ever seen (the actual bottle itself not even the label). First up was La Zia Ale (5.5% abv), made with rosemary and artichoke. I know I can’t see you right now, but I promise I also made that face. Very herbal, but not overpowering, this beer is definitely one to have with food, particularly lamb and also with meaty pasta dishes too. 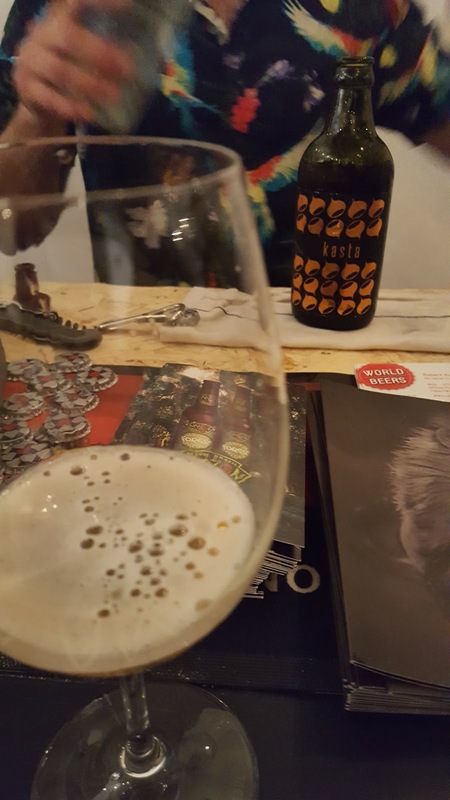 After that experimental pick I decided to choose something a little safer which was Kasta (5.8% abv), a blonde beer brewed with dry chestnuts. I found this to be perfectly balanced, with a sweet caramel and subtle smokiness. Would be fantastic paired with a pud. Any pud. As long as I have pud. At this point we decided to head off and see Sophie Atherton. 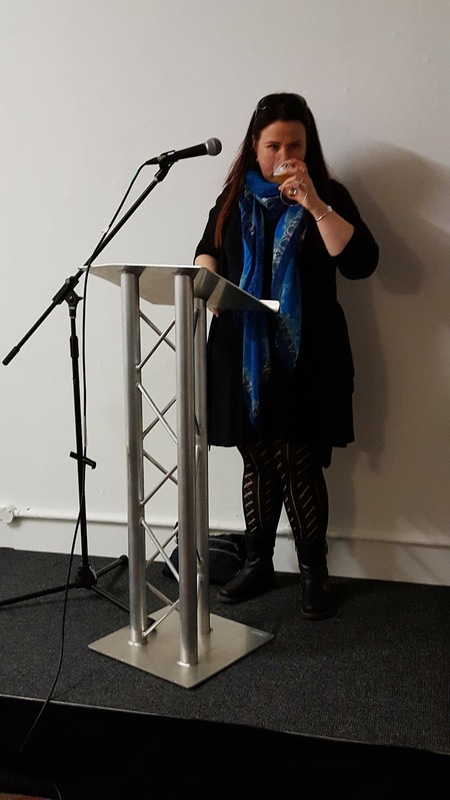 We knew this wasn’t an event for beer drinkers so it would be more of an introductory talk, but she is a great speaker and we were looking forward to hearing what she had to say. Unfortunately we heard about 10% of it as the talks were going on in a room in which a ton of other stuff was happening too. 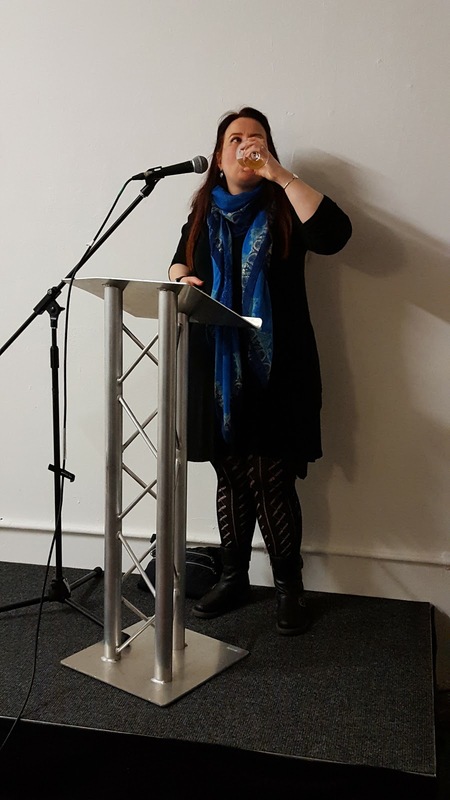 It was so loud, in fact, that you had to raise your voice just to talk to the person next to you, so the poor speakers had no chance at all! Bit of an oversight by the organisers there. Another oversight was the provision of food. There was supposed to be a street food section (it’s all the rage innit), but by the time we got there only 2 food sellers remained and about half an hour into our session 1 of them had run out of food! Not sure it’s a great idea to ply thousands of people with unlimited booze and not give them anything to soak it up with. Indeed it was due to this that we had to cut our visit short and go out in search of Premium Kebabs. Of course one of the reasons we were a bit squiffy was due to the many other fantastic drinks on offer. My particular favourites were Meloncello, Curio vodka (which just had the most beautiful branding) and Sxollie cider which I would highly recommend checking out. So all in all a bit of a mixed bag. I’d be interested to find out from those exhibiting how they found it, the impact it’s had and whether they’ll be doing it again.